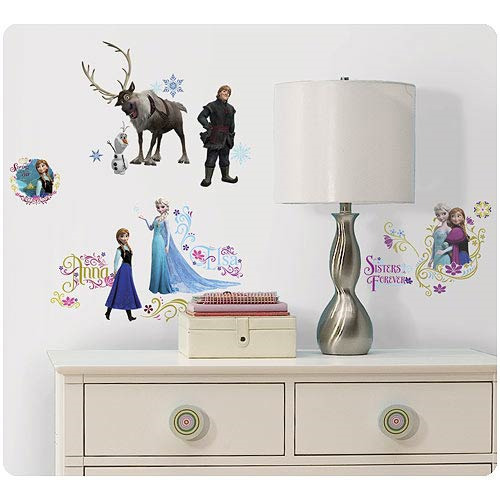 Embark on the journey alongside your favorite characters from Frozen with these officially licensed wall decals. Removable and repositionable, they can be easily applied and moved around by decorators of any age. To apply, simply peel each decal from the backing and stick it to any smooth, flat surface. A great decorating idea for Frozen fans! Decals measure between 1 3/10-inches wide x 1 1/5-inches tall to 13 9/10-inches tall x 12 2/5-inches wide.